While all this was happening, support came pouring in ………. 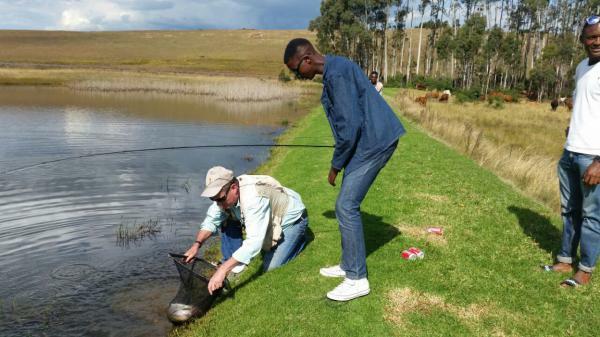 not only in the form of cash and used tackle donations, which was truly appreciated, but from club members and Dullstroom fly fishing retailers who have committed to support the program. 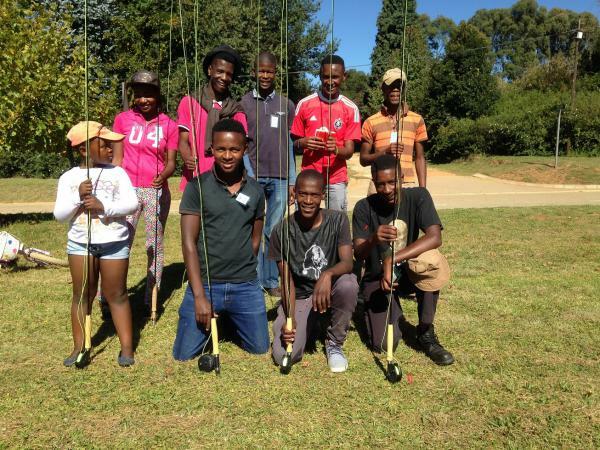 Both John Hunter (The Village Angler) and John Thoabala (Mavungana Flyfishing) have committed their teams to assist in coaching skills development, which will be an essential ingredient of the program going forward. What will follow now is an equal mix of classroom sessions dealing with flies, fish behaviour, and the finer points of finding, catching and releasing fish, plus practical experience and outings to nearby waters. The Club’s objective is to get at least half a dozen students trained and qualified to the point that they can stand and fish confidently next to any experienced fly fishers on any trout water. One of the challenges that is yet to be overcome is getting access to local waters on an affordable basis, so that the students can get fishing experience and put their learnings to good use. If you are interested in supporting this initiative in any way, be it sponsoring, coaching, allowing or accompanying students to water, whatever ………. then please contact Alan Hatton on 073 478 3317 or info@dullstroomflyfishers.co.za. Alan has also indicated that he will be happy to share the training decks that have been prepared up to this point with any other club or organisation that wishes to embark on similar programs.